This blanket will go with me every week to the Farmer’s market. 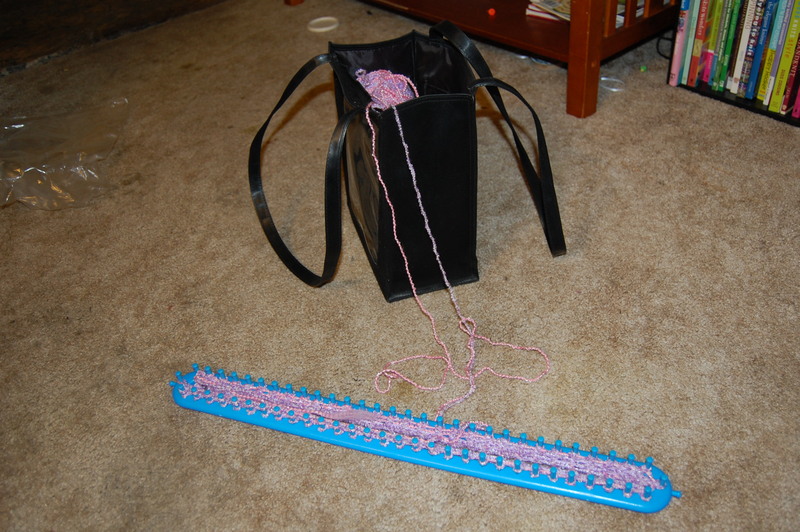 Anyone who wants to try loom knitting will be allowed to knit on it. I plan to donated this to the Pregnancy Crisis Center in Logan.